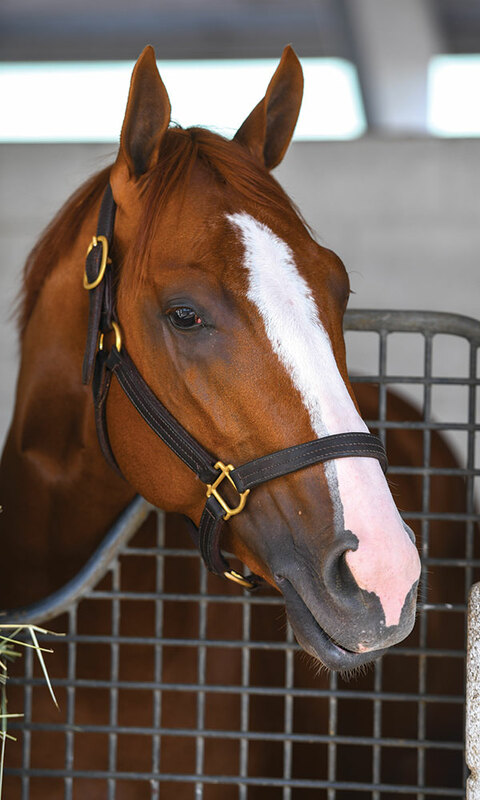 e Five Racing Thoroughbreds isn't even three years old, and it's already breaking records and vying for a Derby win on the heels of Good Magic. A few summers ago, just when e Five Racing Thoroughbreds’ horses first started appearing at Saratoga Race Course, few people in the horse racing industry knew anything about the stable and its fluorescent green-and-purple silks—including me. I remember grabbing trainer Rudy Rodriguez and asking, “Who is…what is e Five?” Rodriguez, an affable, chatty guy, conceded that he didn’t know much about his new client’s background either. It didn’t take long, though, for the e Five gang—that is, Bob and Kris Edwards and their children Cassidy, Riley and Delaney—to exit the land of the unknowns. Not quite three years later, the Edwards’ stable has made a big splash in the Sport of Kings, sending their first three Breeders’ Cup starters to the Winner’s Circle—a record-breaking feat. 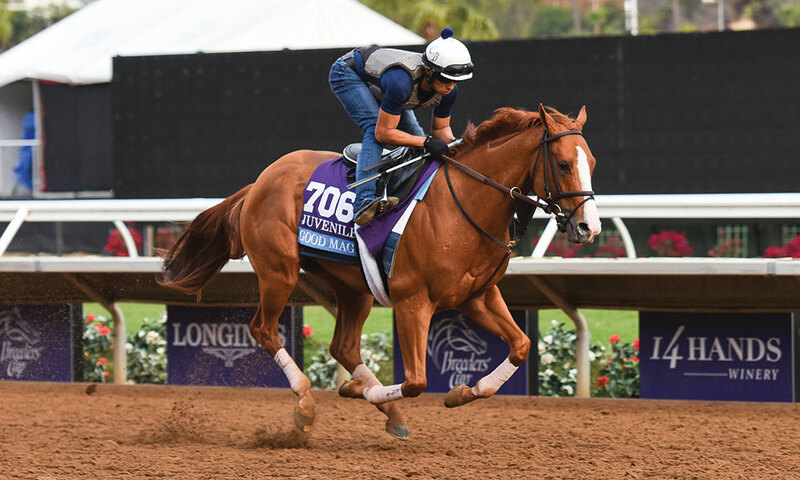 And their Breeders’ Cup Juvenile winner, Good Magic—purchased for $1 million and co-owned by Stonestreet Stables—was crowned the two-year-old male champion in 2017. Good Magic’s now under the watchful eye of superstar trainer (and Mechanicville native) Chad Brown, and should be a top contender at the Kentucky Derby. 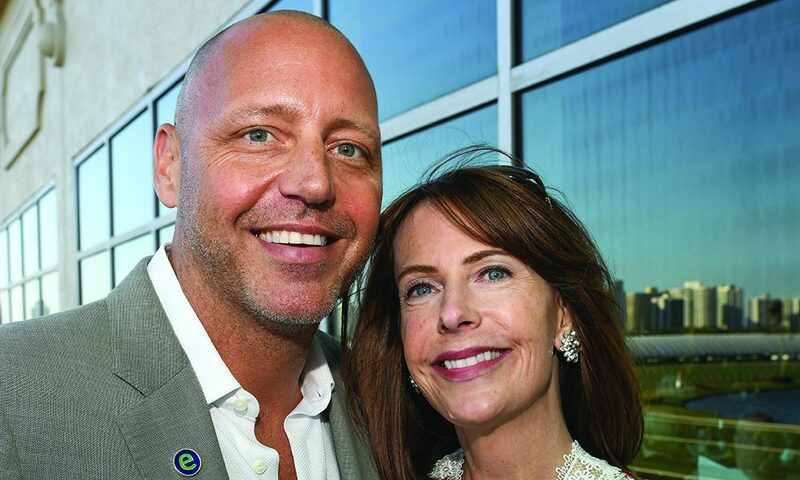 The Edwards’ good fortune began quite innocently, when Kris, a native Saratogian, traveled here, family in tow, for a cousin’s wedding in August 2015. She remembers giving Bob specific instructions when he took their daughter, Cassidy, to visit his business partner’s stables at Saratoga Race Course: “Don’t you dare buy a horse.” Of course, Bob didn’t listen to her, and that weekend, with the help of veteran bloodstock agent Mike Ryan, he purchased his first yearling filly for $255,000. “I know exactly how Bob’s mind works,” says Kris. “I knew that once he bought one horse, he was going to do it…” she says, trailing off, not adding “again” to complete the sentence. She then remembers driving around town with her father, looking for a property along Fifth Avenue—a stretch of Saratoga real estate that abuts the Oklahoma training track and is just a stone’s throw away from Saratoga Race Course. She already knew that Bob wasn’t going to be content playing around on the fringes of horse racing, so he’d need a Saratoga home, too. “When he’s in, he’s all in,” she says. Since the Edwards know and understand what starting from the bottom and hitting the pinch-yourself strata looks and feels like—Bob cofounded Boca Pharmacal in his mid 20s and sold it for $225 million in 2014—they appreciate their breathtaking ascent to prominence in racing. To be sure, they’re fully aware that some of what they’ve done is unprecedented. Yes, the Boca Raton, FL, residents, who grew up in Upstate New York and met as undergrads at SUNY Plattsburgh on their shared birthday nearly 30 years ago, are loving the ride. From the quick and mighty deep dive into racing, e Five has grown, as Kris predicted, into an international stable of 70 horses. Just like that. To put that into perspective, I’ve been in racing partnerships with no more than a couple of horses at a time. But 70, all acquired by one family new to the game, in less than two-and-a-half years? That’s nothing short of mind-blowing. And now, after I’ve gotten to know who this impressive family is—and better yet, what they’re capable of accomplishing in horse racing and bringing to Saratoga’s signature sport—I’m genuinely glad to hear that.